Trick or Treat with a Dinosaur! The countdown to Halloween has well and truly started and team members at Everything Dinosaur have been busy sending out lots of dinosaur themed costumes for kids to help very young dinosaur fans get into the Halloween spirit. Children seem to have a fascination with monsters and dinosaurs like Giganotosaurus and Tyrannosaurus rex certainly tick all the boxes when it comes to monstrous animals with big teeth. After all, a fully grown T. rex had jaws so big that it could swallow a small child whole. 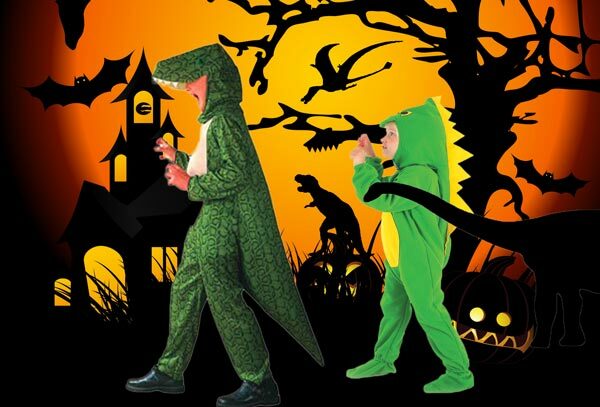 Help your young dinosaur fans get into character with these super dinosaur dressing up costumes. Dinosaur dressing up costumes for Halloween. Give your little ones a treat this Halloween! With bright and colourful dinosaur dressing up costumes for three years and upwards, there’s bound to be something on the Everything Dinosaur website to get your little monsters roaring with excitement. With the chest sizes of our dinosaur costumes starting at just sixty centimetres (24 inches), even children as young as three years of age can join in the dinosaur themed fun. Whether it is dressing up for school, getting ready to go out trick or treating or simply joining in the Halloween activities at home, these dinosaur costumes are ideal. For that extra touch of authenticity make your young dinosaur fan’s day by giving him or her their very own dinosaur glow in the dark wall sticker. Just switch of the light and watch your dinosaur skeleton glow in the dark! Everything Dinosaur stocks a wide range of prehistoric animal stickers, it’s enough to get your own bones rattling with fright! Glow in the dark dinosaur stickers for Halloween. Perhaps you might even try out some prehistoric inspired food! Here is a link to a recipe for a simple and easy to make jelly themed snack that we call “insects trapped in amber”, very creepy or should that be creepy-crawly! How to make “insects trapped in amber A Prehistoric Party Treat Especially for Halloween! 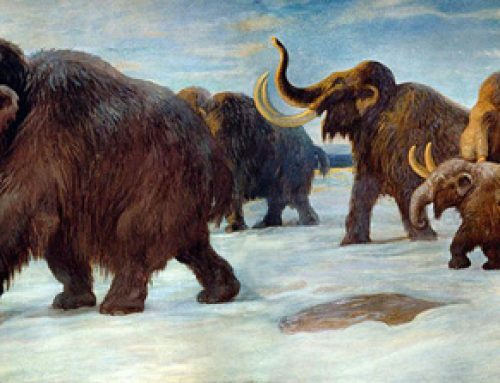 The fossil record provides plenty of evidence of some very scary creatures that lived in the past. Huge teeth, big claws and frightening scales, tusks, horns and amour seem to have been quite prevalent amongst the Dinosauria. Which one do you think was the scariest? It only requires to say to all our customers and followers of our social media platforms – happy Halloween!